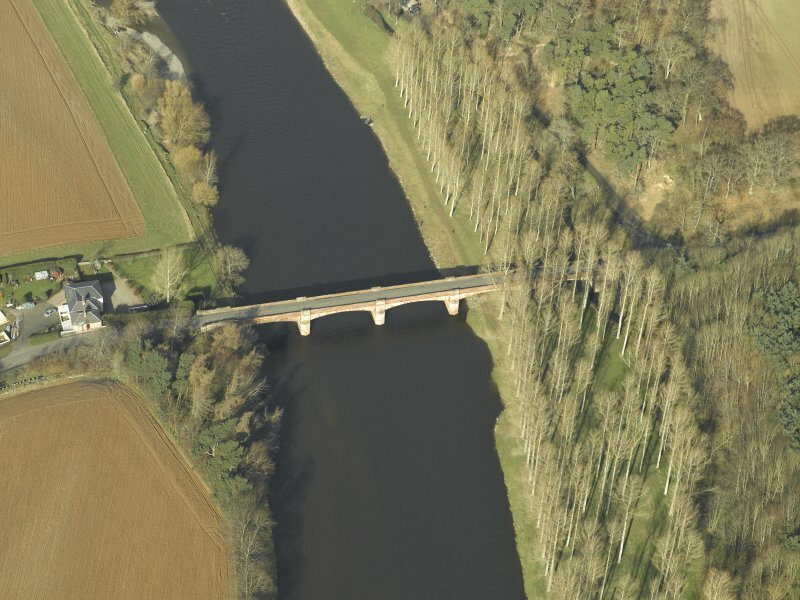 Oblique aerial view centred on Mertoun Bridge, taken from the NNE. 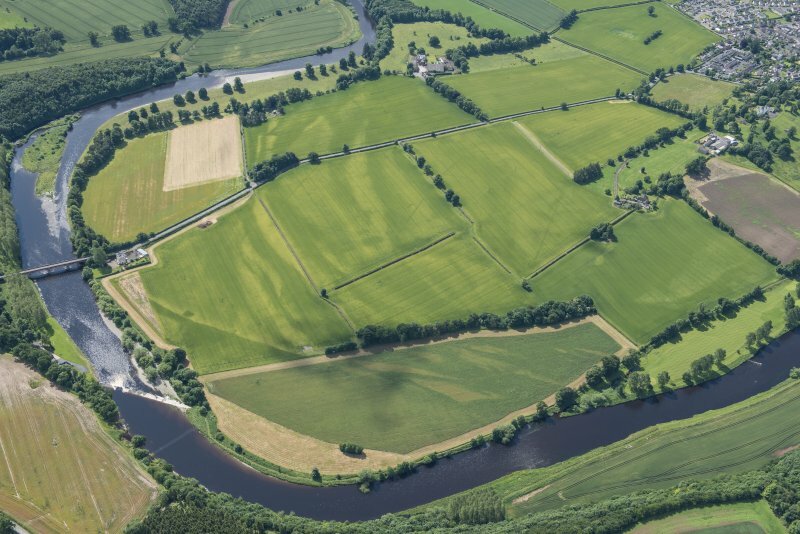 General oblique aerial view of the cropmarks of the Roman Temporary Camps, looking S.
Oblique aerial view centred on Mertoun Bridge, taken from the SSE. 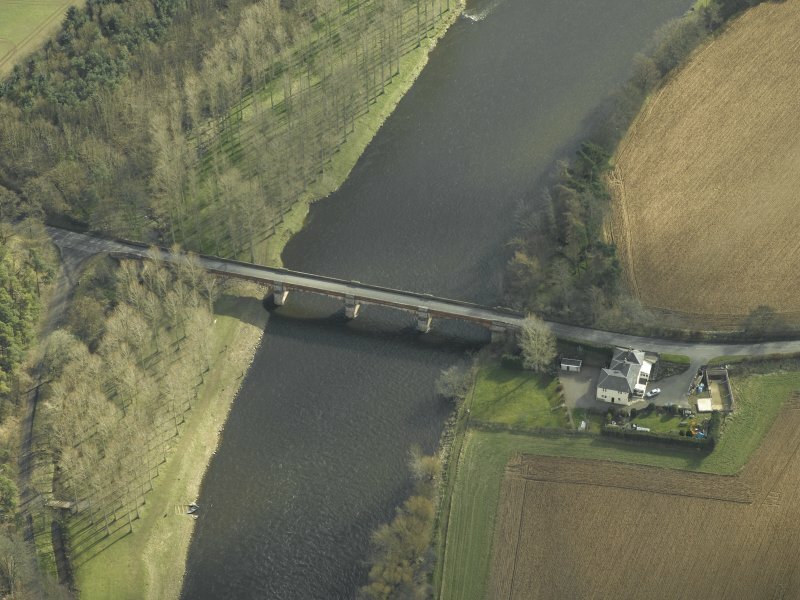 Oblique aerial view centred on Mertoun Bridge, taken from the NW. 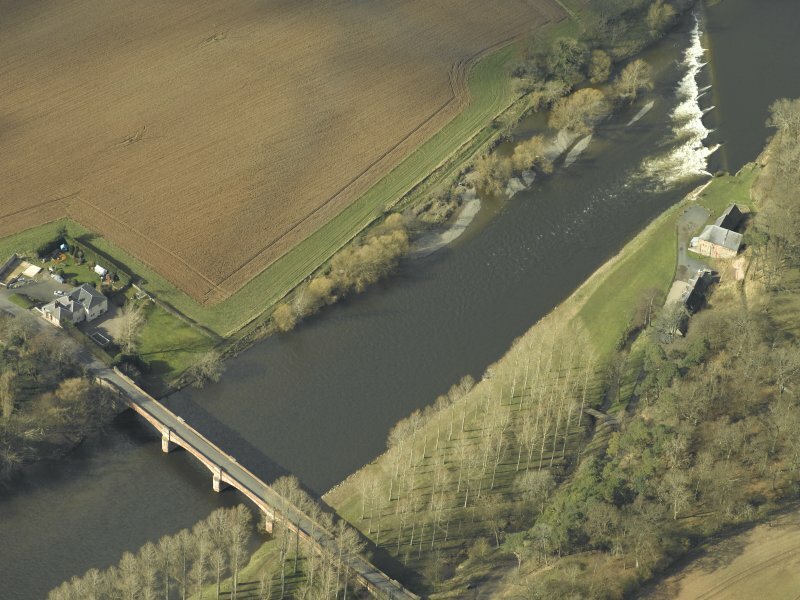 Oblique aerial view centred on Mertoun Bridge, taken from the N.
Mertoun Bridge spans the River Tweed to the west of Mertoun, carrying the B6404 which runs from St Boswells to Mertoun. 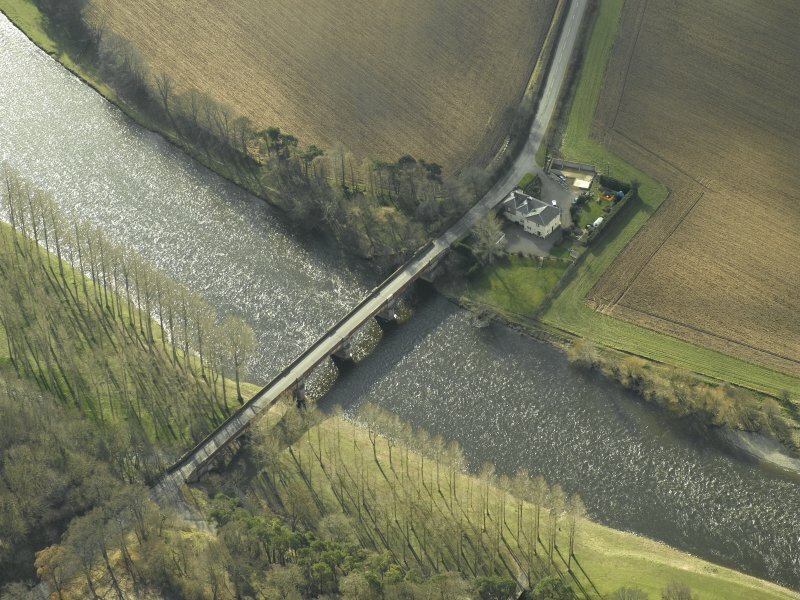 The bridge comprises five shallow segmental arches, and the masonry piers have rounded cutwaters. It dates from the mid-nineteenth century, and was built to a design by James Slight. Not to be confused with Mertoun House, Bridge, for which see NT63SW 34.03. For associated tollhouse (adjacent to SW), see NT63SW 62. For nearby (upstream) Mertoun Mill, see NT63SW 47.00. 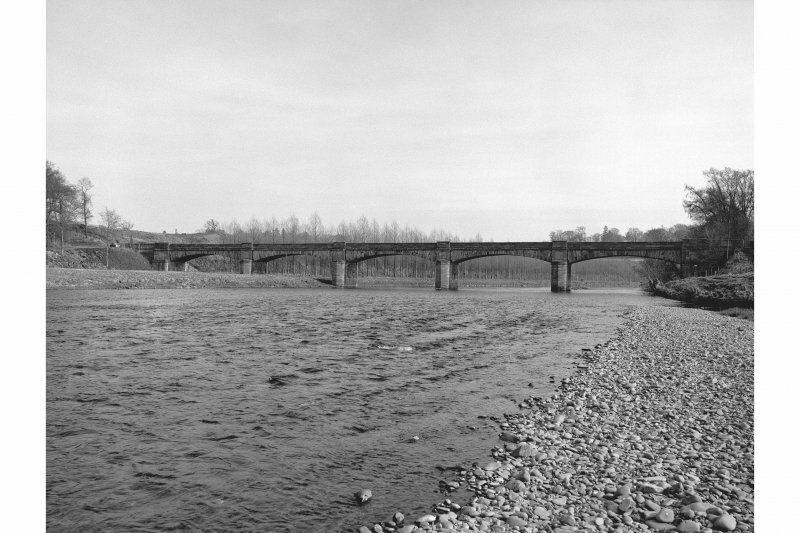 Building of a bridge over River Tweed. Parlt. Bill. (Location cited as NT 610 321). 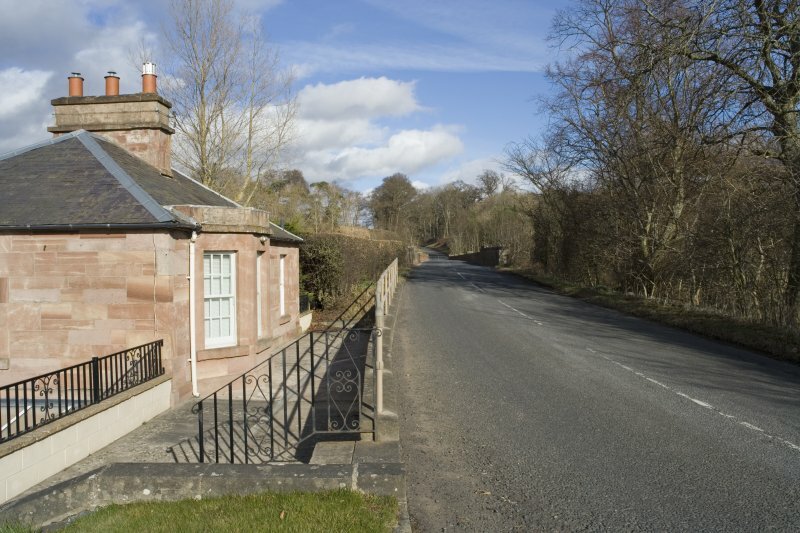 Mertoun Bridge (NT63SW 61) and tollhouse (NT63SW 62), built 1837, engineer James Slight, Edinburgh. 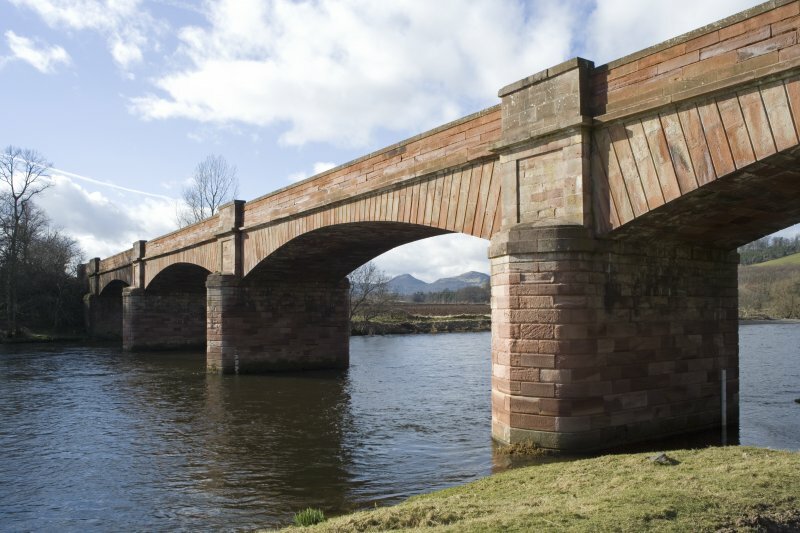 A 5-span bridge, built entirely of dressed stone, with flat segmental arches on slender piers with rounded cutwaters. The tollhouse (NT63SW 62) is a 2-storey building set into the embanked approach to the bridge, with the toll door and bay window at first-floor level. 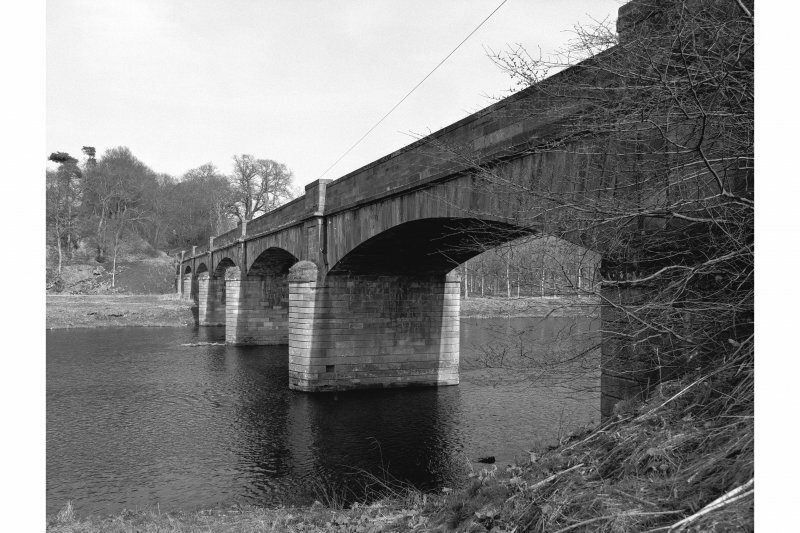 Mertoun Bridge, 1839-41. James Slight. 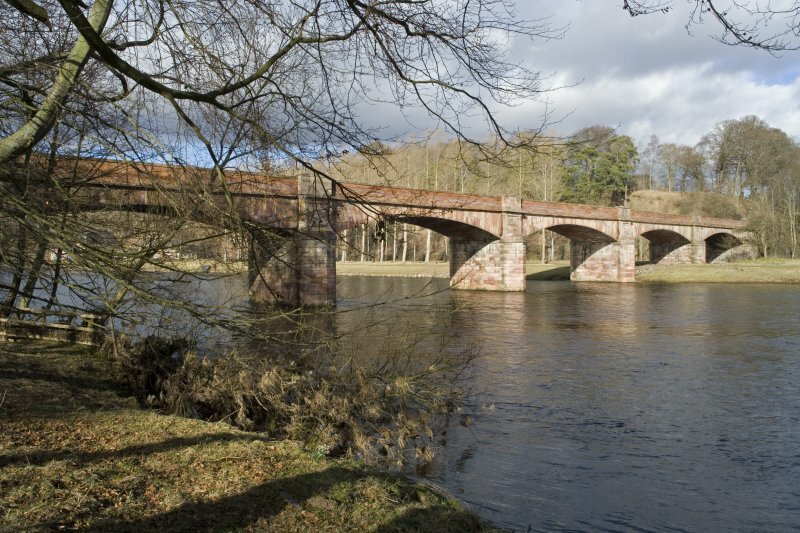 Built in timber with stone piers and abutments, the five segmental arches were added later, carrying the main road across the Tweed. The old Toll-house (NT63SW 62) adds to the composition, as does the Mertoun Mill (NT63SW 47.00), just upstream. 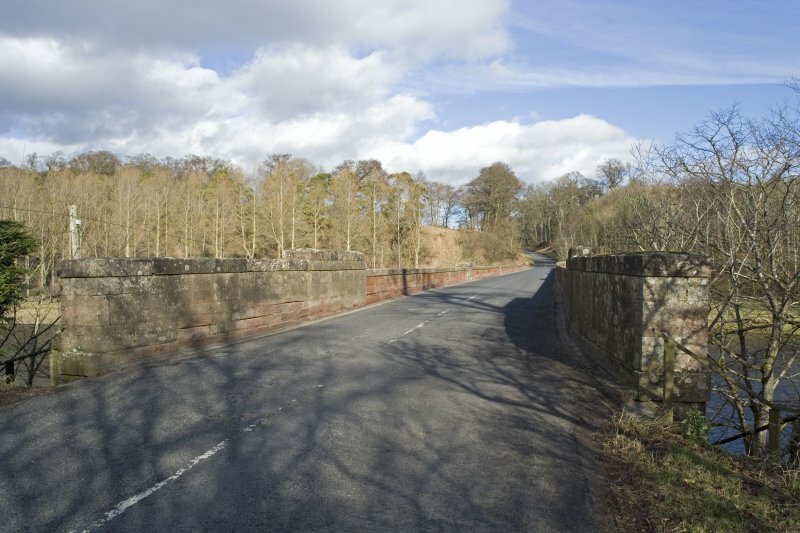 This bridge carries the B6356 public road over the River Tweed, which here forms the boundary between the parishes of Mertoun (to the NE) and St Boswells (to the SW). The location assigned to this record defines the centre of the span. The available map evidence suggests that it extends from NT c. 61086 32113 to NT c. 60934 32022. Built by William Smith of Montrose. Engineered by James Slight of Edinburgh. 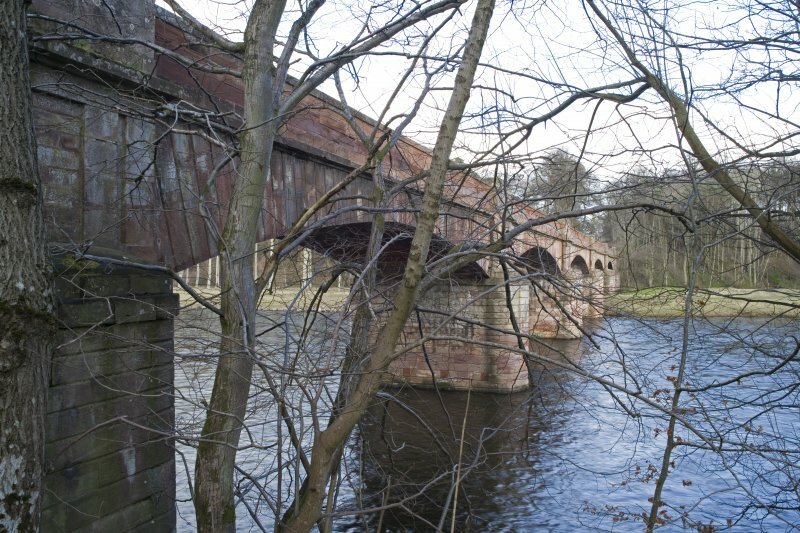 Mertoun Bridge to the east of St Boswells, a five-arched brown sandstone structure, carries the B6404 road over the Tweed. Each arch is of 70 ft span that, with a rise of only 6 ft, presents a remarkably shallow curvature. 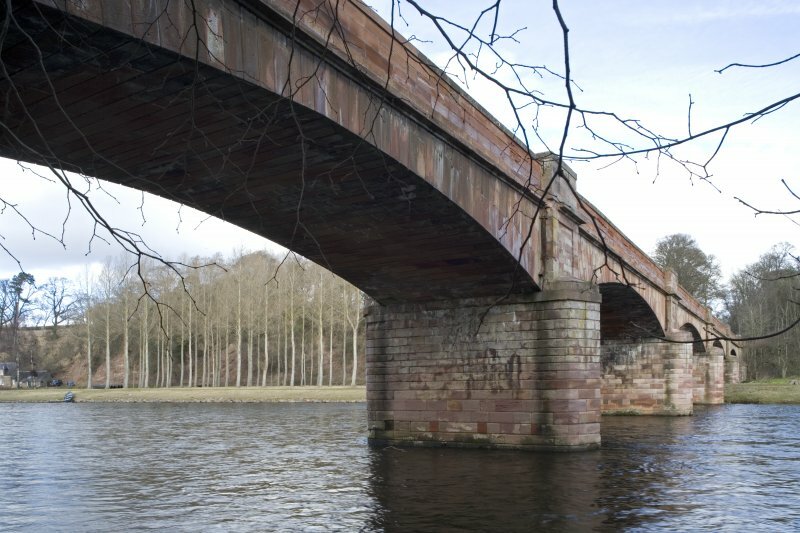 The arch ring joints radiate to the parapet stringer course. 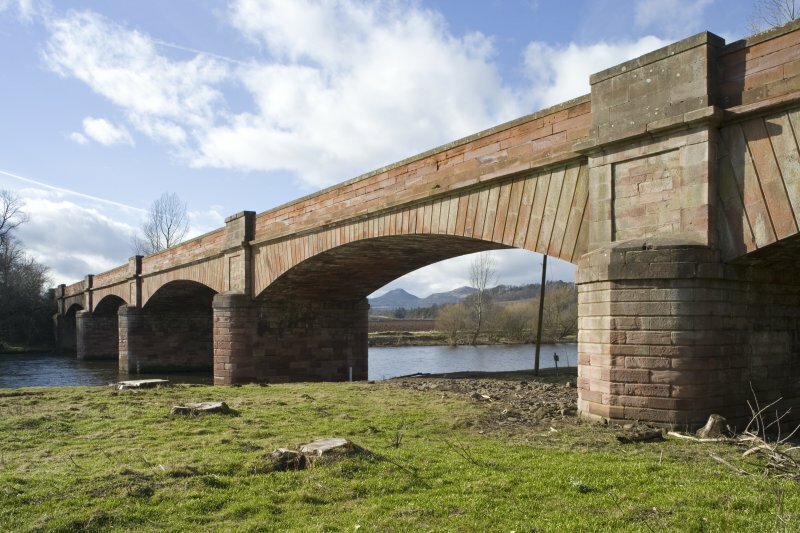 As originally constructed in 1839–41 by William Smith of Montrose there were three timber rib-beams made up from five laminations of 12 in. by 6 in. timber bound with iron straps. This appears to have been adopted as a medium-term measure by the ingenious James Slight of Edinburgh who allowed in his substructure details for the present masonry arches to be built when required. 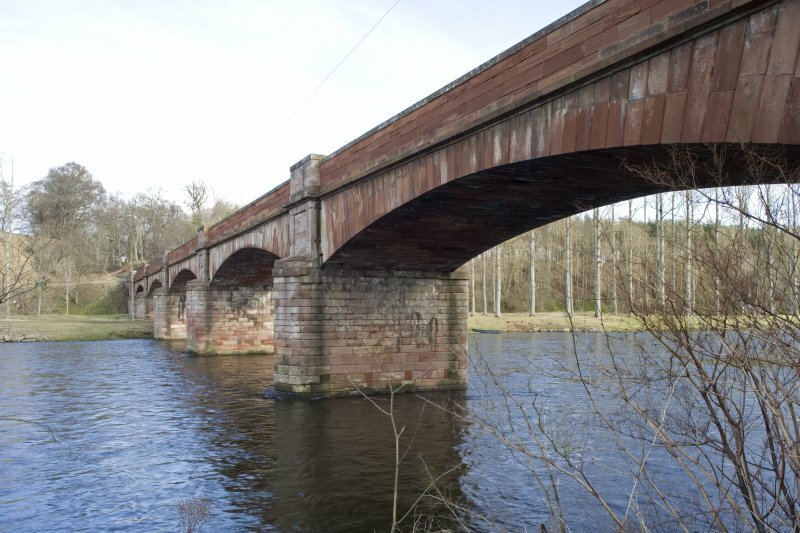 It is not known whether the original timber arches were utilised as falsework.